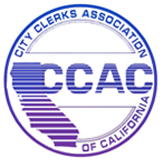 The City Clerk is the local official for elections, local legislation, the Public Records Act, the Political Reform Act, and the Brown Act (open meeting laws). Before and after the City Council takes action, the City Clerk ensures that actions are in compliance with all federal, state, and local statutes and regulations and that all actions are properly executed, recorded, and archived. The statutes of the State of California prescribe the basic functions and duties of the City Clerk, and the Government Code and Election Code provide precise and specific responsibilities and procedures to follow. As an Elections Official, the City Clerk administers Federal, State, and Local procedures through which local government representatives are selected. The City Clerk assists candidates in meeting their legal responsibilities before, during and after an election. From Election pre-planning to certification of election results and filing of final campaign disclosure documents, the City Clerk manages the process which forms the foundation of our democratic system of government. As a Legislative Administrator, the City Clerk plays a critical role in the decision-making process of the local legislature. As the key staff for City Council meetings, the City Clerk prepares the legislative Agenda, verifies legal notices have been posted or published, and completes the necessary arrangements to ensure an effective meeting. The City Clerk is entrusted with the responsibility of recording the decisions which constitute the building blocks of our representative government. As a Records Manager, the City Clerk oversees yet another legislative process; the preservation and protection of the public record. By statute, the City Clerk is required to maintain and index the Minutes, Ordinances, and Resolutions adopted by the legislative body. The City Clerk also ensures that other municipal records are readily accessible to the public. The public record under the conservatorship of the City Clerk provides fundamental integrity to the structure of our democracy.